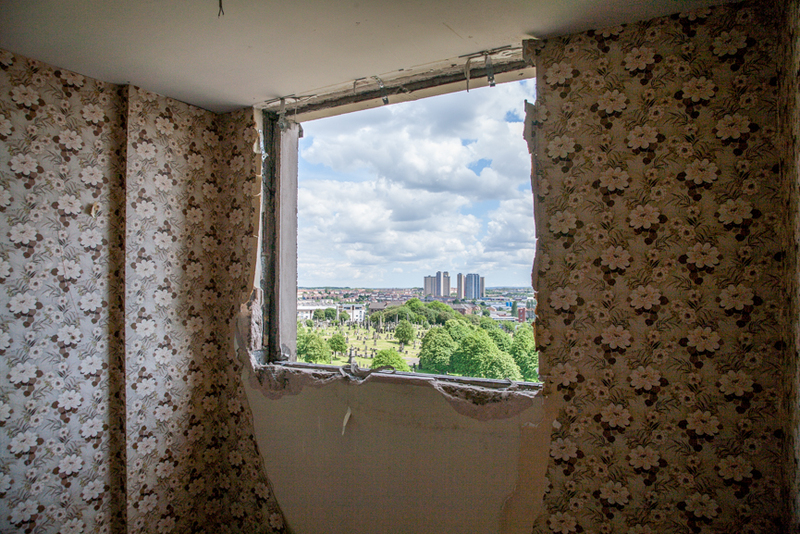 "In the Glasgow media the death of a high rise is marketed as progress"
Chris Leslie documents the disappearing areas and memories of Glasgow in the wake of the city's vast regeneration scheme. We talked to him. 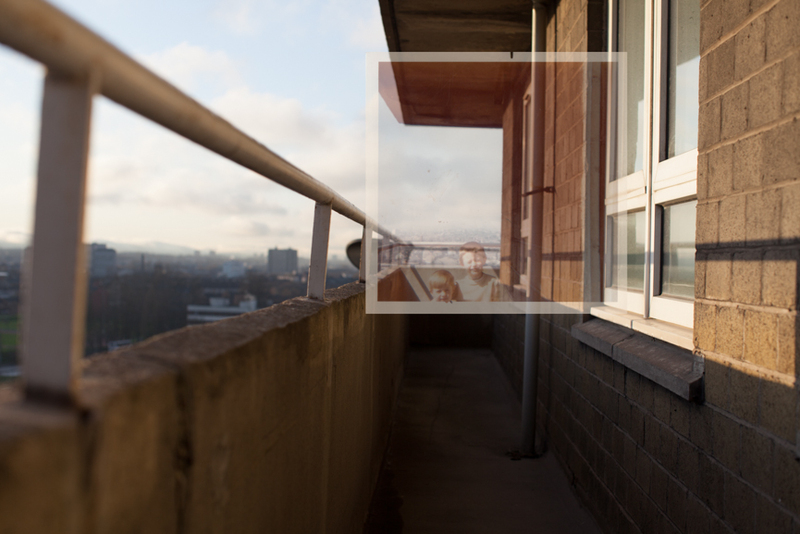 Early 2012, Failed Architecture visited Red Road, an impressive housing estate consisting of eight high rises in the north east of Glasgow, built in 1967 to house about 4,700 people. They were once the highest flats in Europe. By the time we were there, two of them had already been emptied and party stripped, awaiting demolition. The other six are to be torn down by 2017, as part of Glasgow’s larger regeneration plan. Red Road is not the only part of the city on death row. The regeneration scheme will bring significant change throughout the city, especially to eight condemned areas that are seen as outdated and problematic. 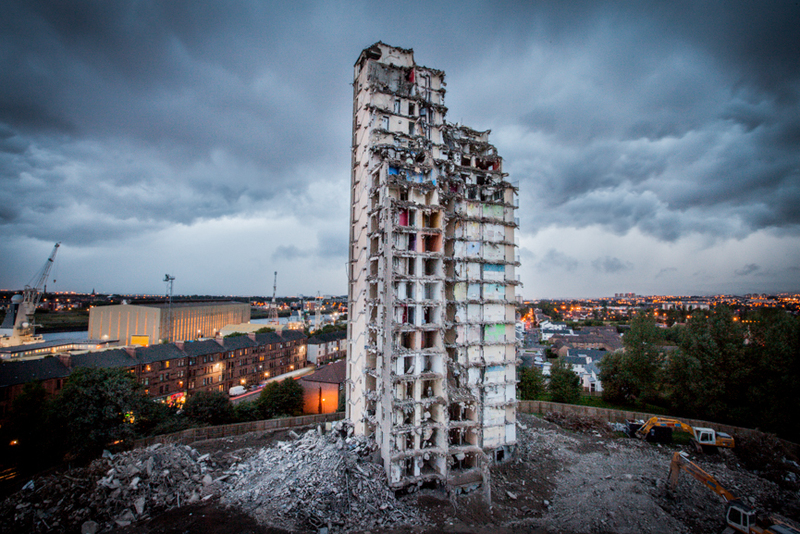 Glaswegian photographer, filmmaker and visual artist Chris Leslie started documenting the disappearing buildings, areas, communities and stories in 2007. This resulted in The Glasgow Renaissance, a multimedia project with a large emphasis on the current and former residents and the memories of the places that have to go. 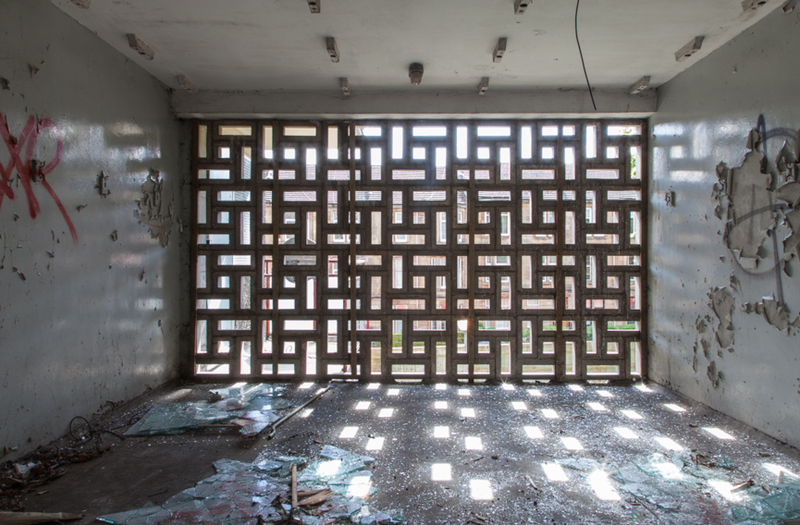 We talked to Chris Leslie about his project and Glasgow’s regeneration. In the introduction text for Glasgow Renaissance you describe the state of the “regeneration areas” as a result of “years of industrial decline, poor housing management and poverty”. Do you think it was an inevitable outcome of larger processes, or is anyone to blame for the ending course of life of these buildings and neighbourhoods? Glasgow is a tale of two cities when you compare the poverty and decline of the East End with the more affluent West End. But the story isn’t as simple as this, as much of the North of the city is also in disarray as are parts of the South. But in reality Glasgow is a jumbled mess of ‘nice streets and areas’ with run down post industrial landscapes. It would be very easy to blame all the sufferings of these areas of Glasgow as part of history, blame the city fathers of another generation and then perhaps the scale of the problem is just too big for the City Council to deal with. But having such a divide in the city is unacceptable for a modern 21st century Western city and Glasgow is booming in many ways in terms of office and recreational new builds around the city centre. In the condemned residential areas there is always a token size new development built nearby, some even built dangerously close at the foot of the high rise flats to be demolished. It’s almost as if the city planners and developers need to be shown that they are not to blame, and that it’s all about progress. If these same buildings are still standing 30 years on then it will be a fair enough argument. Housing schemes and residential developments are a fundamental cog in the economic system, and there will always be demolition / construction but what’s fundamentally wrong is that it’s always the poorest residents who are sent packing from one area of the city to another. 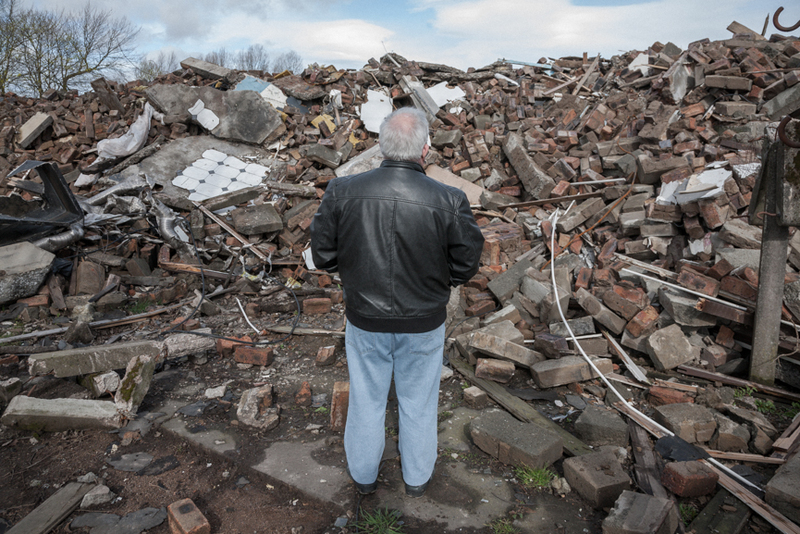 Resident of The Oatlands housing scheme stands outside his demolished home prior to site clearance. Much of the current regeneration in Glasgow has to do with the city hosting the 2014 Commonwealth Games. What are your thoughts about that? There is no proof that any mega sporting event actually benefits the local population and I also have an issue with the fact that the East End was the ideal location for the Games because it had been left to decline for 30 years, resulting in large scale very cheap abundant land. But with the Games now less than a year away, much of the development has taken place and all of Glasgow will just have to wait and see what happens after the Games and if it brings the utopia that it promises. But what if Glasgow didn’t win the bid to host the games, what would have happened then? Red Road flats viewed from the window of the now demolished high rise at Sighthill. Is there a lot of antagonism towards social housing in Glasgow? A lot of people, including myself were brought up in social housing and it was seen as the norm. I can only remember a small number of friends growing up whose parents owned their own homes. 30 years on and that’s completely changed as everyone is a home owner it seems, even my mum bought her home through the right to buy scheme set up by Tories in the 1980’s. We are all Thatcher’s youth in many ways. On this project I have then been introduced again to the world of social housing again saw first-hand that many of them are people on benefits, long term unemployed and drug addicts and alcoholics. So there is a stigma attached right away with social housing, and even me saying this is adding to that stigma. But it needs to be remembered that not everyone jumped on the bandwagon to buy their homes, not everyone gets paid enough money to buy or rent privately, so social housing is still a vital frontline service that all of us, in some way or another, at some point in time will have been grateful for. 1977 Archive photography from the Fleming family, residents at the towers for 20 years, montaged with their balcony in 2013. Are residents of the regeneration areas generally positive or sceptical about the developments? In the East End of the city people are excited by the prospects and utopia that the Games development will bring, and like most Glaswegians they are only too aware that the area needs regenerated. The problem is that people are too passive, there has been very little questioning / protest / forums about what developments have taken place, what buildings are to be demolished. This is no reflection on the character of the people of the East End, it’s just a simple matter of fact that if you let an area run down for over 30 years then people will be happy with any proposed changes rather than the current state it is in. The other key issue is that of people in condemned high rise flats then being moved into a house at ground level with a front garden and then their own ‘space’ generally view these developments as a positive move from where they once lived. 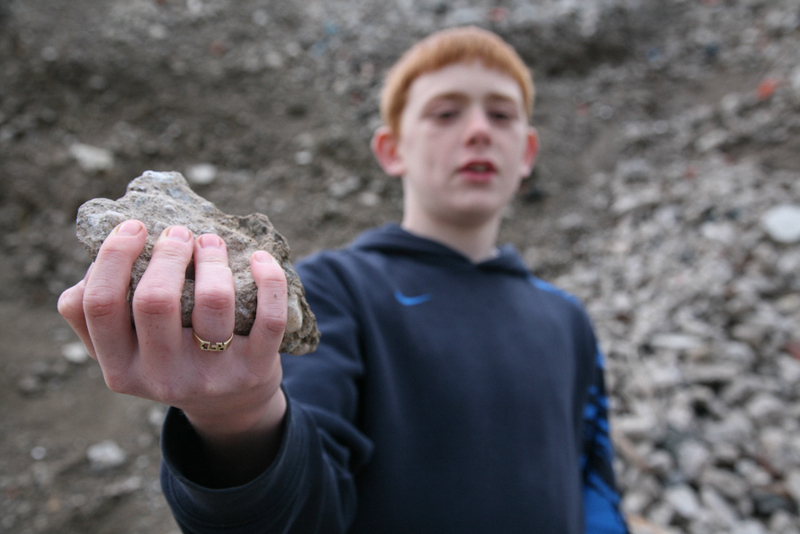 Dalmarnock youth plays with the rubble of a demolished high rise flat making way for the Commonwealth Games. Often, the design of post-war housing blocks is thought to play a big part in the ‘failure’ of these structures. What do think about that? That is too easy an excuse to be made and is the frequent first response from the councils and housing officials. Many of the high rise flats had nothing wrong with them structurally, the issues were all of social decline and bad management. High rise living in other cities across the world is seen as the norm, but in Glasgow its very much tainted. I have viewed plans and designs to transform these buildings into office and residential space, adding some thought and design to the existing structures but no-one at a higher level wants to look into this. 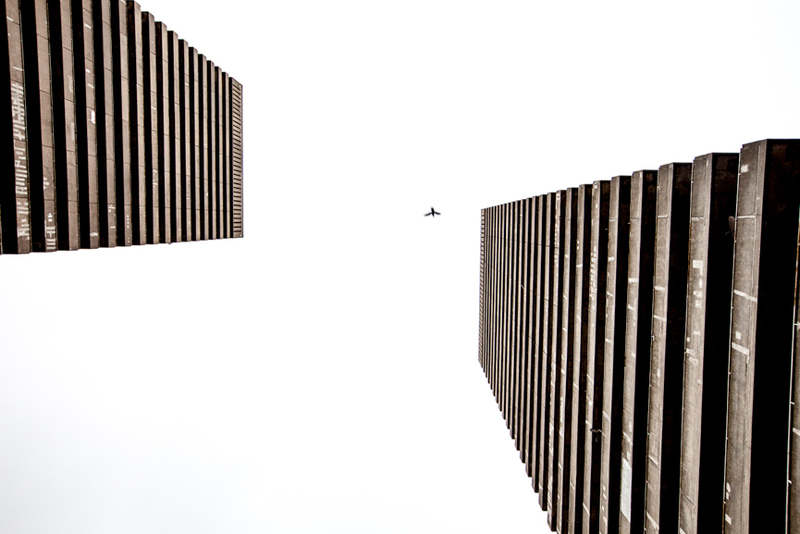 In the Glasgow media the death of a high rise is marketed as progress, its time had come: no other alternative. Anything else that ‘saved’ the buildings could look as a form of guilt or failure first time round. 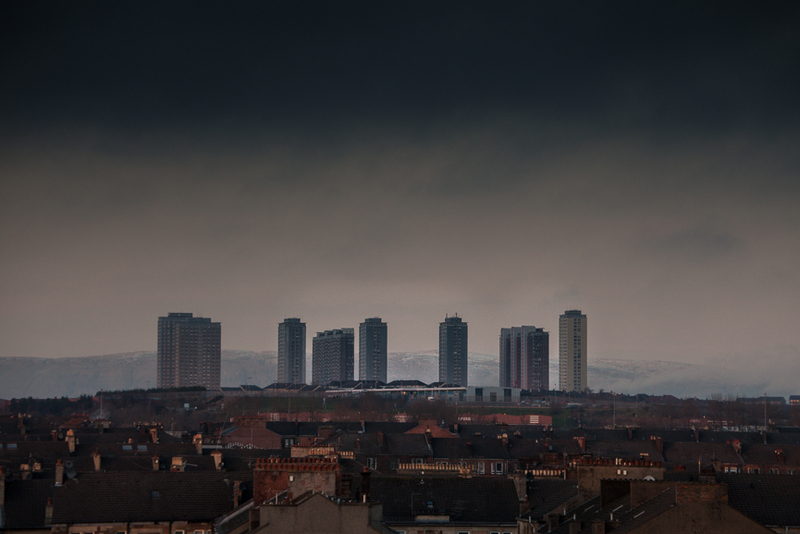 The Whitevale and Bluevale Flats (Gallowgate Twin Towers). Aesthetically speaking, which architecture are you going to miss most? The Whitevale And Bluevale Flats (Gallowgate Twins) are the most brutalist of structures, with no exterior terracotta coloured cladding been even attempted to hide their ‘ugliness’. But to me the buildings are spectacular to behold. I can see the flats from my bedroom window and I pass them every day on the school / nursery run with my kids. It’s almost as if they have taunted me for years, as they were the closest and most iconic buildings to me but the hardest to gain access to. Finally in August 2013, with only 5 residents remaining before the buildings were closed I embarked on one last push to get access and managed to document the buildings internally and interview the last residents. I spent one evening in a flat on the 29th floor filming a time-lapse of the sunset. The flat still had all its items, couch, bed, chair, empty whisky bottle and unopened letters. I made myself comfortable, got my sunset time-lapse and a few other shots and left the building finally content that I had documented all that I needed. Margaret Jaconelli and her husband barricade themselves in their home that is on the site of the Athletes Village for the Commonwealth Games construction. Is there a specific moment, situation or story that has had a personal impact on you? The buildings and built environment were always the first point of call for me, but it’s easy to photograph a condemned building or part demolished housing scheme. What really matters was the human story behind the buildings and although they were not as easy to capture and document, it was worth the effort to try. In 2008 as I ventured round the empty landscapes of Dalmarnock photographing the empty tenements of Ardenlea St, I failed to see the net curtains indicating signs of life. A woman’s voice calls me from a window, asking me what I am talking pictures of. It takes me a while to pinpoint her location as I’m faced with what I thought was a desolate, empty ruin. This was my first meeting with Margaret Jaconelli. She has been living in Ardenlea St alone for over 5 years. All the other tenants were rehoused, as the buildings were to be demolished at some point. She held on stubbornly as she was one of the few who purchased her home back in the late 1970s. Come the announcement of the Commonwealth Games coming to Dalmarnock and the plans to demolish Ardenlea St and much of the rest of the area are top priority. Margaret was offered a ‘market value’ of her 2 bedroom flat of £29,000 and asked to leave. Knowing fine well she could never afford a new property with that settlement she refused and the long battle to evict her began. It ended in March 2011 when she was served a compulsory purchase order and days later she and her family were evicted at 5am by sheriff officers and over 100 police who cut off and surrounded her home. Margaret continues her fight and has taken her case to the European Court of Human Rights. This summer I then met Jamal, one of the last resident of Red Road Flats and failed asylum seeker who was being threatened with deportation so he refused to leave the flat. He ended up living alone in the block for over 4 months whilst the rest of Red Road was literally demolished around him. He was petrified living in the flat alone, and was frequently targeted by the local young team who would see his solitary light on the 14th floor. It was a tragic unreported story around the demise of the Red Road Flats. 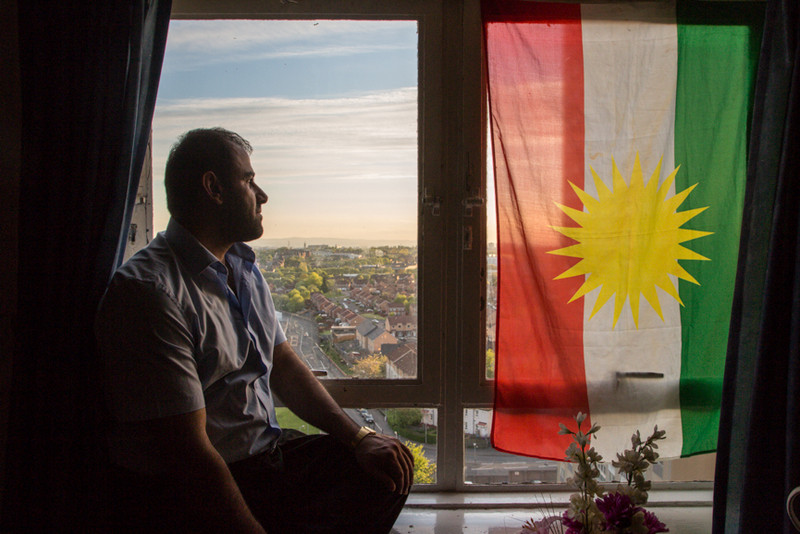 Last resident of Red Road – failed asylum seeker Jamal. You describe The Glasgow Renaissance as a documentation of the ‘old’, the memories and the disappearing living environments of Glasgow. To what extent is the project also a critique of the large regeneration plan that Glasgow is undergoing? I am not an architect or an expert of planning and housing so in some ways I underplay any specific critique of the large regeneration plan. Instead I let the people I speak to explain their issues, as it’s their homes, their communities. But on the other hand, I feel that i can make my own comments as i am a resident of Glasgow and the East End, and the changes taking place will have an impact on my own and my children’s lives. The media in this article are just a small fragment of Chris Leslie’s extensive documentary project The Glasgow Renaissance. They nearly murdered a sleeping child in the next door flat, threatened me personally and the police told me straight to my face: ‘Don’t live here’. Glasgow actually has a Ned problem, not a housing problem – young men who regularly carry a machete down their trouser leg, are prepared to throw rocks a pensioners’ heads and are simply not afraid of the police. Would anyone out there rather live in a high rise slum with decent neighbours or in a palace with vile thugs next door? Margaret Jaconelli was offered £29,000 for her property and she refused. In the week of all the media hype and eviction she was then offered £80,000 by GCC but by accepting that she had to pay for part of the police costs / legal fees and would no longer fight her case (or take her case to the european court of human rights). She refused that offer and was evicted. She was never looking for millions and all the other tenants around her were in social housing, and they werent offered anything, just moved, and they were moved years before the commonwealth games were even mentioned. Margaret and her husband Jack were also 'outted' and portrayed in the Glasgow Herald as part of a smear campaign, claiming she was looking for millions. Simply not true, and trhe researcher from Glasgow university was not a reasearcher but Dr Libby Porter - a specialist in Urban planning. You seem to portray the Jaconelli story as one of them being helpless victims, which the media lapped up and presented to the world, but this ignores the increased offers over the amount you quote for the purchase of the property. She could have had much more than her neighbours accepted - imagine if all had stood together and refused, but they didn't. You ignore the millions she demanded as her valuation for the property. She wanted the potential value to a developer - but she did not want to pay or contribute to the that development. I found this a sad case, as the media later reported that she had been taken for a mug, and used as little more than a sock-puppet by some researcher from Glasgow University, prompting her to carry out the sit in and make other demands, while sitting comfortably and safely in the background, unseen and unidentified. But masterminding a campaign based on sympathy for a poor victimised granny. I wish I had kept the links, but dumped everything after the flat was vacated. But if you do some more research, I am sure the back story will still be available to find online. You could to worse than tell the whole story, not just the biased and orchestrated part the media loved because it appeared so show a poor family being victimised. I hate the games, but I hate that sort of manipulation even more. ...'frequently targeted by the local young team'... that one phrase tells us the unpleasant truth. The fact is, Glasgow does not have a 'housing problem' at all. I was once personally given a lovely refurbished Council tenement flat - at first glance, my dream home. Just one little problem. Neighbours from Hell. They nearly murdered a sleeping child in the next door flat, threatened me personally and the police told me straight to my face: 'Don't live here'. Glasgow actually has a Ned problem, not a housing problem - young men who regularly carry a machete down their trouser leg, are prepared to throw rocks a pensioners' heads and are simply not afraid of the police. Would anyone out there rather live in a high rise slum with decent neighbours or in a palace with vile thugs next door?